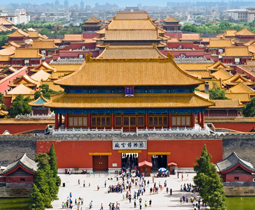 China is becoming an ever-increasingly popular destination following its opening up to western influences. It boasts a fascinating history that spans nearly 4000 years making it one of the world’s oldest civilizations. The multinational country extends over a large area in Eastern Asia that traverses four time zones. With such a territorial grasp there is a variety of places to visit and activities to indulge in whether you want to experience its history, delight in its picturesque landscapes, or enjoy its lakes, gardens and colourfully ethnic features. To top it all off you can rest assured that you will experience culinary delight as Chinese cuisine is very highly regarded worldwide and is considered as one of the top three cuisines in the world.